LinkedIn can have a huge impact on sales success. However, that success depends on how you use it. In this 20 minute audio, Jill Konrath is interviewed by Michelle Davidson, editor of RainToday.com, about some of the most fascinating differences between how top sellers leverage LinkedIn vs. everyone else. The LinkedIn capabilities top sellers value most. How top sellers use LinkedIn to become invaluable business resources. 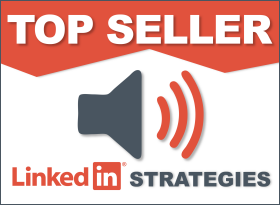 Ways top sellers leverage LinkedIn to differentiate from the competition. How much time you need to invest to experience similar results. LinkedIn matters. Don’t get left behind.